I will never forget the first time I saw Amir Khan fight. It was 2010 at a big Muay Thai show in the brand new Bangla Stadium in Phuket and it remains to this day one of the most extraordinary and inspirational things I have witnessed in nearly a decade of covering combat sport. What made this particular fight so remarkable was that it became clear from the moment that the fighters began performing the Wai Kru, the soporific dance which traditionally precedes a Muay Thai match, that Khan suffered from a severe case of Tourette Syndrome. To begin with this made for extremely uncomfortable viewing because a Wai Kru is supposed to be a series of smooth movements which are performed in seamless rhythm to the music but it is impossible to do this when you are suffering from serious twitches every few seconds. However this discomfort swiftly turned to a sense of awe when, after having to endure the mocking taunts of his opponent in the opening rounds, he came on strongly to win a lopsided decision victory in a fight which had a serious bet between the two camps riding on it. 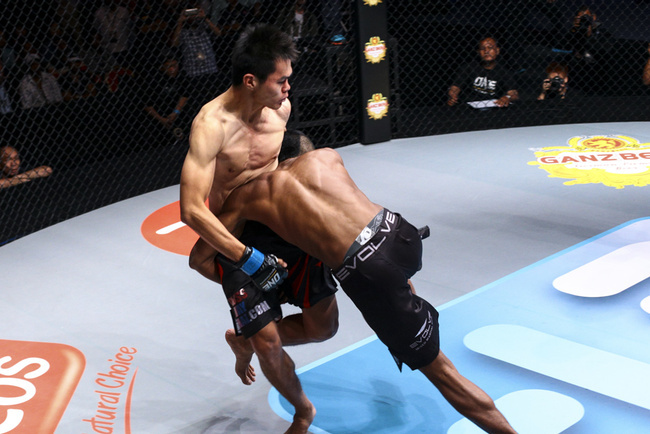 Memories of that fight came flooding back last Friday night when I was ringside at ONE FC: ‘Rise of the Kingdom’ in Cambodia and realized with a shock that the fighter I was watching beat experienced Malaysian Jian Kai Chee on his pro MMA debut was the same one I had seen that night in Phuket. The twitches were almost imperceptible, nothing compared to how bad they had been during that Muay Thai fight, but to see someone overcoming this condition to the extent that they could not just live a full and normal life but compete at a high level of combat sport in front of a large audience on a televised event seemed incredible. I had wanted to interview Khan the first time I saw him but never got a chance. Nearly five years later I finally got to talk to him about that night in Phuket and how the problem has all but subsided in the intervening years. Back in 2009 I remember feeling that Khan’s opponent did not carry himself with enough dignity, openly mocking the teenager for his condition and even doing crude impersonations of him during the early rounds. Perhaps the reason the fight has stuck in my memory so long is that it was particularly satisfactory to see Khan wipe the smile of his face by beating him and walking away with a significant sum of money but he says that at the time he was oblivious to his opponent’s unsavory antics. “When I am in the ring or cage I don't care or see what my opponent does, all I am focus on is doing my best and trying to win,” he told me. A momentary lapse of concentration can be absolutely fatal in a fight and I wonder whether it would be possible for a fighter to time an attack to coincide with one of Khan’s twitches but he says they happen so fast that this is inconceivable. “It doesn't effects me when I'm training or when I’m fighting and I don't think it can help my opponent because my eyes are totally locked on him, even when I move my head,” he explained. 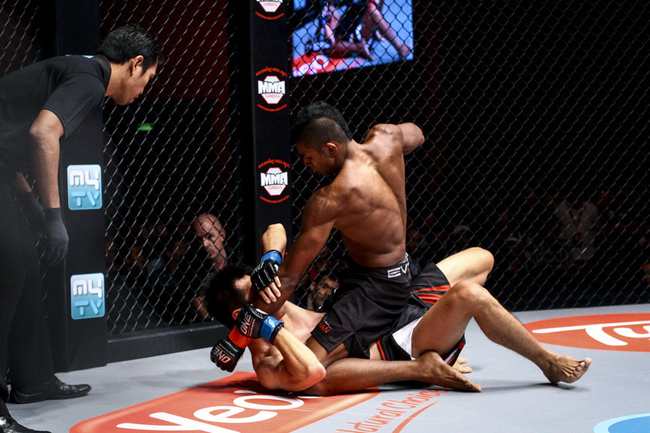 Anyone watching him fight for the first time will inevitably wonder about the twitches which, while nowhere near as bad as they once were, are still noticeable but Evolve MMA founder Chatri Sityodtong believes the focus should be on what this young prospect will achieve, rather than what Khan has overcome to reach this point in his career. “Amir has the talent and work ethic for fighting. He is only 19 years old and he has the world's best coaches, world champions, and teammates teaching him everything. As long as he keeps his focus, humility and drive Amir will be a world champion in the future,” he said. I think what makes the fighter’s story so inspiring is that it is not necessary to qualify Khan’s ability or potential with parameters by saying ‘considering he has Tourette Syndrome he is good’ because with a 4-0 amateur record and successful pro debut he is already successful by absolutely any criteria, there can’t be too many better mixed martial artists in Asia at his age just now. His MMA career is still in its infancy but with a BJJ blue belt, pro Muay Thai experience and a background in high school wrestling Khan has the potential to reach the very pinnacle of the sport and I doubt whether any opponent will make the mistake of mocking this Tourette Syndrome sufferer again. For regular updates on Khan’s fighting career visit his facebook fan page.